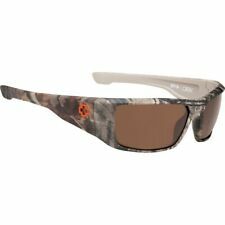 New Spy Optic Tackle Wrap Sunglasses - SPY REALTREE - HAPPY BRONZE POLARIZED. SPY REALTREE. Manufacturer: Spy Optic. HAPPY BRONZE POLARIZED. Eye Size: 69mm. Manufacturer: Spy Optic. • All international orders are fulfilled via the. Trending at C $106.84eBay determines this price through a machine-learned model of the product's sale prices within the last 90 days. Color: Realtree. Lenses: Happy Bronze Polarized. Model: Tackle. Includes: Spy box, brochure, cloth case. We will be happy to help you with any problem given the opportunity. These have a sport design. They are marked on the outside and inside as such. They are in good condition, the lenses and vision are very good. Style# Fantail 580P. Includes a Costa Del Mar Realtree hard shell sunglass case, microfiber cleaning cloth and warranty info. Lens color: 580P Blue Mirror Polarized. Lens material: Plastic. Realtree Max-5. Lightweight and comfortable, these sunglasses will be suitable for the practice of all your favorite activities. Lenses: Smoke Gray. Soft Rubber. Nose Piece. We may utilize signature required. Realtree Xtra. Lightweight and comfortable, these sunglasses will be suitable for the practice of all your favorite activities. Lenses: Red. Soft Rubber. Nose Piece. We may utilize signature required. Designed to Dale Earnhardt Jr.'s exact specifications, the Dirty Mo is your first place trophy no matter how you finish. These are for reference only and should be considered illustrative. Country/Region of Manufacture China. 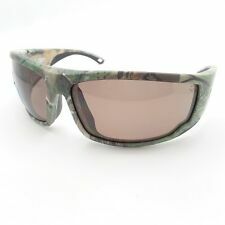 This is a pre-owned pair of unisex Realtree hunting sport style sunglasses. They are in great condition. They havevery minor imperfections on the lenses that don't affect visibility at all (see pics).